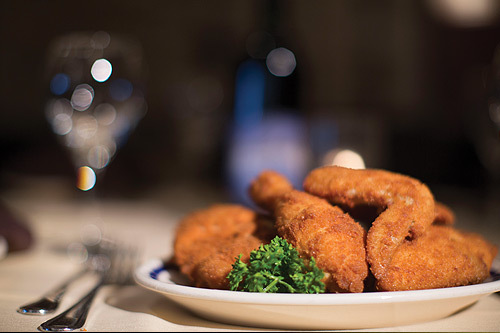 From daily lunch specials that include fan favorites like our homemade fried chicken and boned and buttered perch to new dishes like our mouth-watering steak stacker, we offer extensive menus with foods that all have one thing in common – deliciousness! Whether you are looking for the same home-cooked favorites that have brought you and your family here for years or something exceptional, we guarantee you will leave satisfied. Check out our specials. Out to eat means many things to many people. Looking for a more formal dining experience? 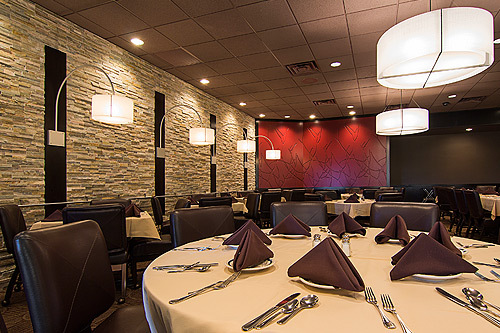 Our elegant, recently renovated formal dining room offers delicious cuisine in an upscale yet cozy atmosphere. 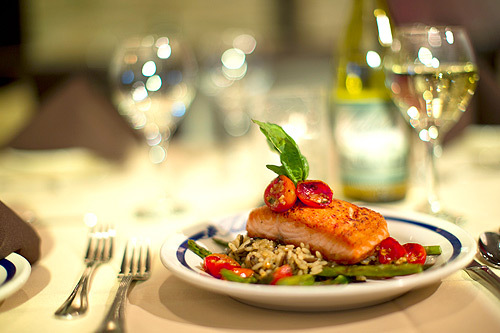 Check out our Dining Room menu. Wanting something more laid back? Our café offers a more casual approach and menu that includes all of your favorite homemade goodies. We promise you won’t go home hungry! Just looking for a drink with friends? Come enjoy a glass of wine or cocktail in our lounge. Check out our Café menu. Can’t make it into the restaurant? You don’t have to bring your party to our restaurant to experience Grandma Teibel’s fried chicken or relish tray any longer. We will bring our home-cooked goodness right to your door step, along with the same outstanding service you have come to expect from the Teibel's name. Conveniently located at the corner of Route 30 and Highway 41 in Schererville, Indiana, Teibel's Family Restaurant offers catering services for your home and business needs. Check out our Catering menu. Need a perfect place for an office party, bridal shower or even a wedding? 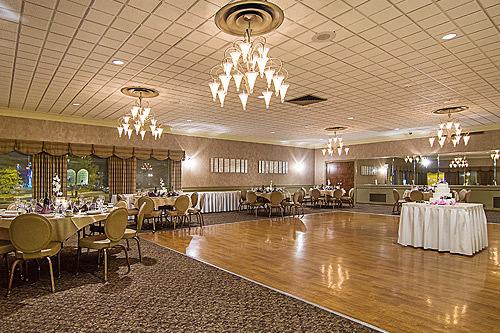 For decades, Teibel’s banquet rooms have been the place for family gatherings, weddings, anniversaries, holiday parties, class reunions and company events in Northwest Indiana. Whether it is a party for 40 or 400, our private banquet halls offer the perfect setting for events that everyone will remember. We are Northwest Indiana’s place to gather, celebrate and eat! Check out our Private Parties and Events menu.